This beautifully fragrant cold pressed oil comes from plum kernels. Its soft texture makes it a delight to apply leaving the skin smooth, soft & silky & delicately fragranced. Its aroma is reminiscent of almonds with a hint of marzipan. This oil makes a really special body massage oil & combines well blended with sweet, flowery essential oils such as ylang ylang. 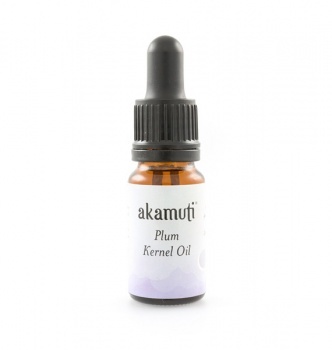 Plum Skincare: Plum Oil is particularly beneficial to dry & mature skin types being very high in vitamin E, oleic & linoleic acid. It is excellent for maintaining healthy skin while providing superb emollient properties & a high nutrient content.